Infrastructure projects worth $47 billion are under the consideration of Iraq’s government, according to a senior official of the country. Iraq’s Minister of Construction and Housing Eng Mohammed Darraji said the ministry is working hard on $10 billion worth of construction projects over the next five years, including the $4 billion Expressway No.2, which upon completion will connect south and mid Iraq with the north of the country, before ultimately joining up with Syria and Turkey. Additionally, he said that an infrastructure projects bill amounting to $37 billion on a deferred payment basis is being considered by the parliament to finance projects in electricity, health, education, housing, water and sewerage and the environment. He was speaking ahead of his participation as a headline speaker at the Cityscape Global Real Estate Summit, which runs alongside Cityscape Global. 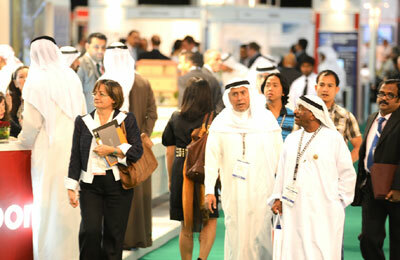 Cityscape Global takes place from October 2 to 4 at the Dubai International Convention and Exhibition Centre. Iraq is looking to build some three million housing units over the next five years. “Due to ongoing business trends and the transition to a market economy after 2003, Iraq has seen significant changes to regulations and the governing of economic activities,” said Darraji. “The new laws to promote fresh investment and drive economic growth are currently being implemented, and this transition will promote the rapid restructuring of our economy.